Sign up to our newsletter and be the first to receive special offers and discounts. 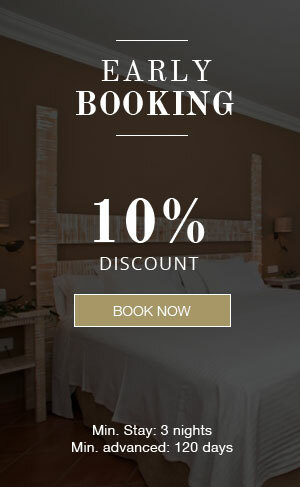 Book early and enjoy a 10% discount on room rates. Promotion valid 120 days in advance, only through our website! You must make your reservation with a minimum of 120 days from the date of arrival. Full payment is charged to your card and is not refundable. Once reserved dates can not be changed. 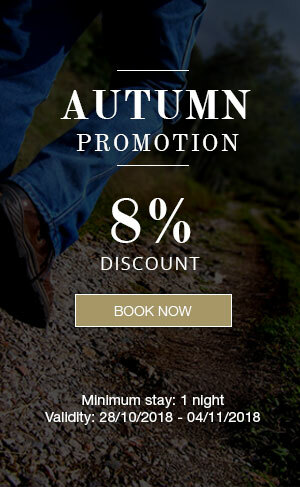 Enjoy Autumn with a special promotion. For stays from 1 night.